PT. 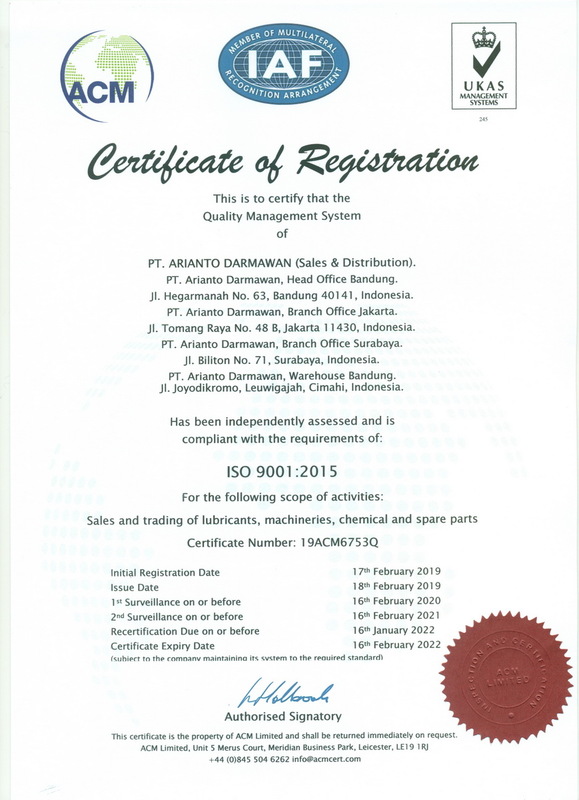 Arianto Darmawan just awarded a Certificate of Registration for ISO 9001:2015 (Quality Management Systems) for Sales and Trading of Lubricants, Machineries, Chemical, and Spareparts. 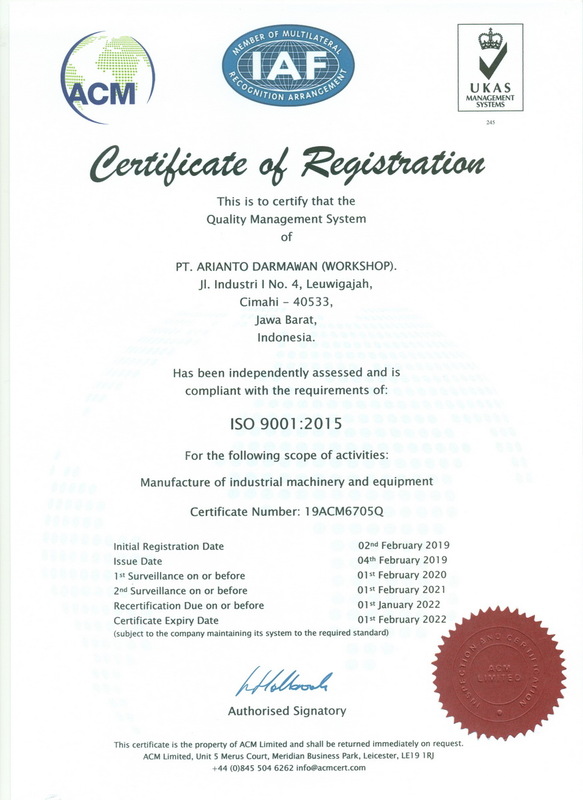 Our workshop in Cimahi West Java also awarded a Certificate of Registration for ISO 9001:2015 (Quality Management Systems) for Manufacture of Industrial Machinery and Equipment.